By 1973, the CMU Fine Arts recording studio was recording 100 recitals a year as well as producing records for CMU’s amateur theatrical group Scotch and Soda known for the debut of the musical Pippin. Some of our best memories were recording a CMU Kiltie Band concert at Carnegie Music hall in New York and being part of the sound crew for part of the 1969 Rolling Stones Tour. 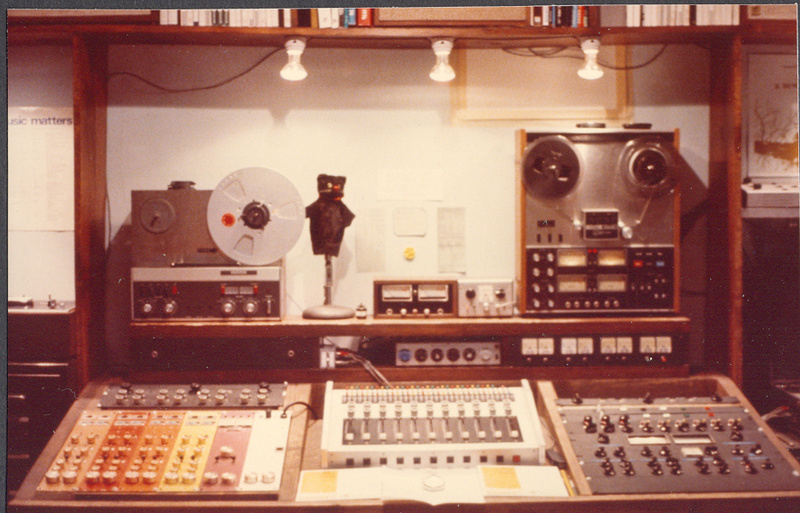 For Scotch and Soda we designed a home made six track recorder using three sets of quarter inch stereo heads (nine heads in all) and half inch tape on an Ampex data deck. In its original incarnation for the musical Something Personal we only had two channels of record electronics which we would manually replug to switch between heads. Also pictured is a Revox two track recorder and a Teac four track recorder. 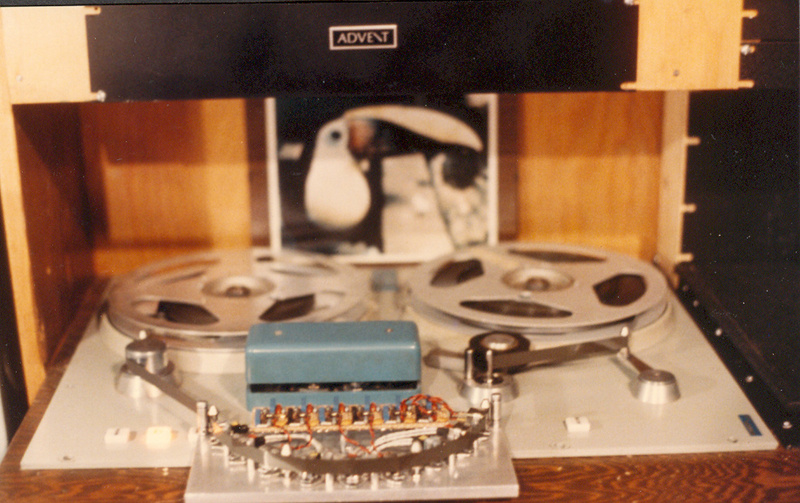 We used Advent dolby units and Stan Kriz designed a special system that could encode 90db of audio on standard Scotch quarter inch tape and also control the speed of the recorder using a huge tube amplifier for pitch adjustment.